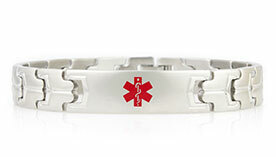 Choose the style you prefer, and we will engrave it with your name, emergency contact information, and any medical conditions or treatment considerations you may have. 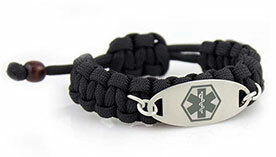 Regardless of whether you have any medical conditions, ICE (In Case of Emergency) IDs are a great way to stay safe while training. Whether you are a competitive athlete or are simply keeping fit with daily walks, when we exercise, we are often outside, alone, and not carrying any identification. Protect yourself with an ICE ID so that you know, in an emergency, you can be identified and your loved ones can be contacted quickly. 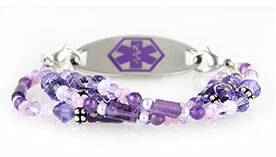 Any medical ID bracelet makes a great ICE ID! 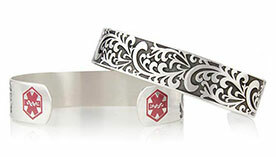 Choose the style you like, and we will custom engrave it to meet your needs. For wear during exercise, we highly recommend water-safe, sweat-proof materials such as stainless steel, silicone, and paracord, all of which are well suited to the rigors of athletic activity.